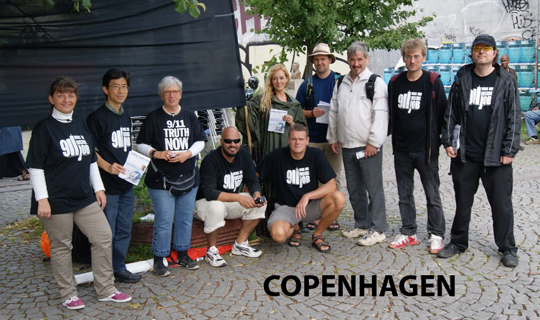 The Eleventh Day of Every Month: photos and video from around the world documenting the truth actions of August 11, 2010. The next eleventh action will fall on the ninth anniversary of 9/11. 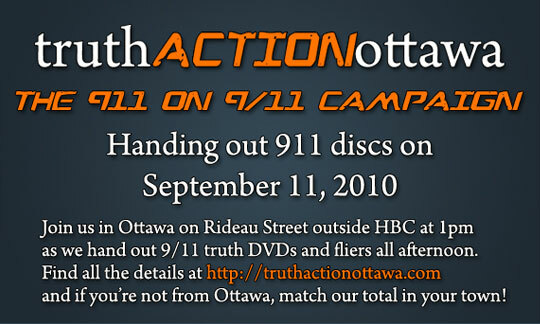 If you don’t have something planned already, consider meeting Truth Action Ottawa’s 911 on 9/11 challenge. Truth Action Ottawa went to the Willie Nelson concert in Ottawa April 7th 2009 to show our gratitude to Willie for going public with his doubts regarding the official 9/11 story. 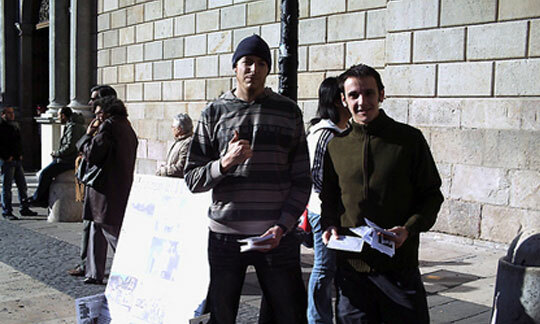 The public was very responsive to our 9/11 Truth message, and we distributed almost 300 DVDs.